I copied this recipe from 2011 when I was mostly doing half batches. It was originally just used the pilsner malt and carapils and the candi sugar, and dummy me forgot to scale up when I picked up the grains from Everwood lol. So I had to top up with what I had on hand ie the pale malt and CM120. 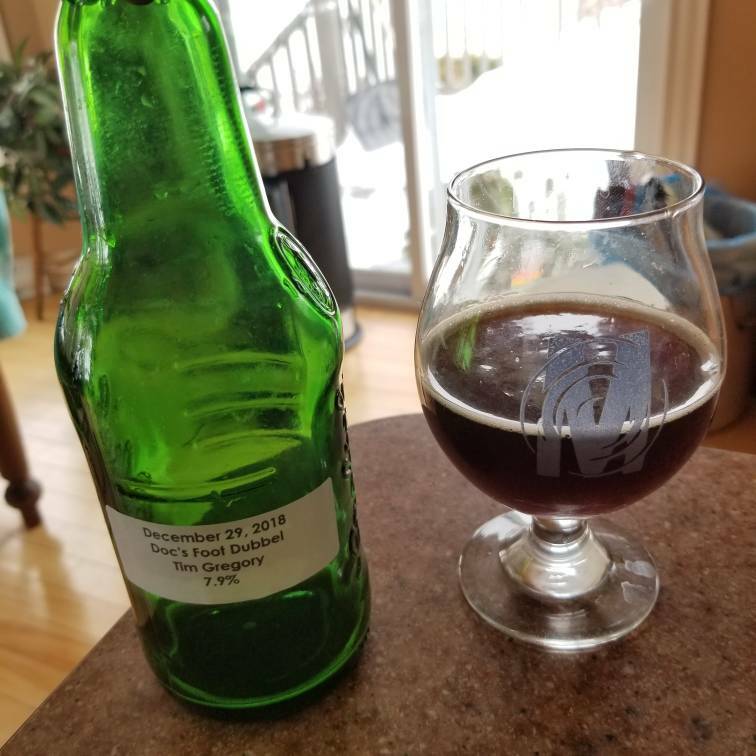 Should still work for a dubbel. The hops were a blend I picked up some samples of at the Canadian Brewing Awards. I can't find much on them but I believe they were based on noble varieties. This is the beer that won an award at Toronto Beer Week and I brewed at Beau's, back when I knew what I was doing lol. Also very much looking to try this, just curious, where did you find that yeast? I called everywhere for it earlier this month and nobody had it (everwood might have it at some point, although I had asked them if they had two specific types of yeast, and all they said was "try again later, we have some yeast coming soon" ). Noble did say they could probably get any white labs yeast as long as I requested it 3 weeks in advance which is nice to know, but unfortunately I tend to plan brews out a few days in advance at most. Prettysure I got it at Everwood. I had a Westmalle a few months ago that was probably the freshest Belgian I’ve ever purchased (not counting any prostitutes) It tasted very close to this. Nice banana-y yeast character on the nose. Very well controlled bitterness that’s enough to keep the sweetness from being cloying but not so much that it becomes distracting. Slightly bready malt character with some dark fruit and maybe even a little liquorice going on. I very much enjoyed this one. Very tasty. Not a style I usually like but I'm into this one. I tend to find them too sweet but the balance you have is my preference. Smells nice, and a welcome little heat from the alcohol. I would like to brew a pale beer with this yeast. This is one of the best so far, great job! I was in Belgium a couple of months ago and this definitely compares in terms of quality. I might end up taking a stab at this recipe sometime this year, would love to have bottles of this hanging around. Thanks for sharing!! tasty full bodied beer. great job Tim! Lots of raisin and burnt sugar, awesome! This was rather tasty - drank it on the weekend while brewing our first tripel. Thanks for sharing it! Had this yesterday. It was absolutely delightful.